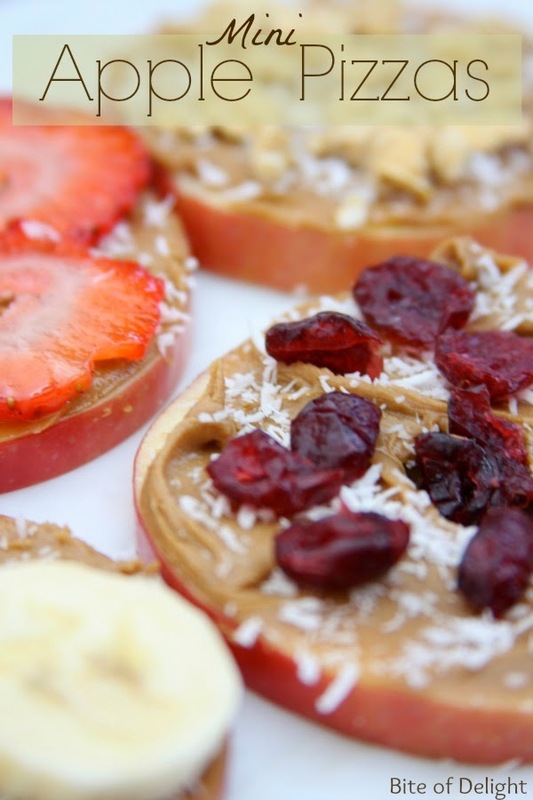 These mini apple pizzas are a fun new snack that my kids and I love! They’re yummy, simple to prepare, and easy to customize to any taste! You can add any toppings that you like, and kids love to help with these. One of the best tips to getting kids to try new foods is to have them alongside you in the kitchen…they are more likely to eat something they made themselves! 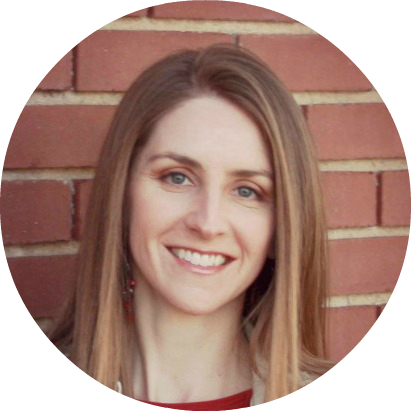 I am a Whole Foods Market blogging Ambassador. Any opinions are my own. This post was written in exchange for a gift card to purchase food. Slice your apple crosswise into 1/4″ thick rounds. 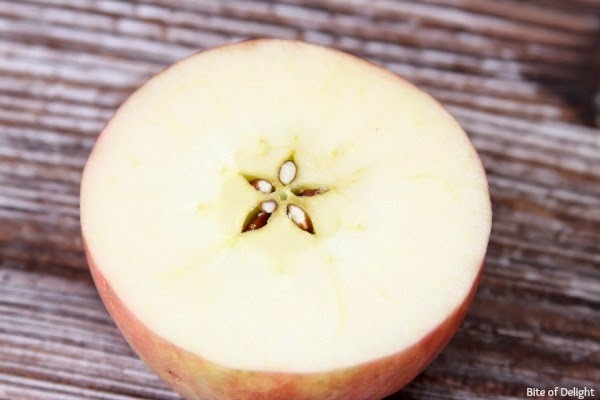 Apples have pretty stars in them when you cut them this way! Remove the core if needed (the slices near the top may have nothing to remove). 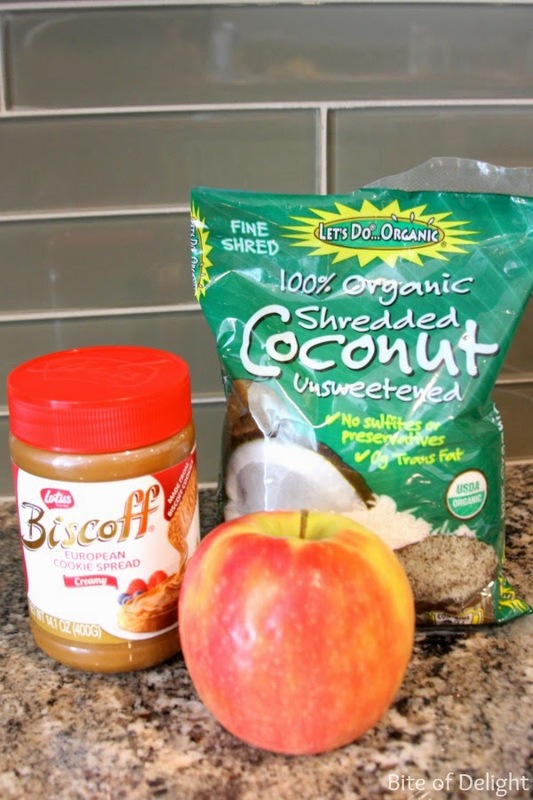 Spread with cookie or nut butter, sprinkle with shredded coconut, and top with your favorite fruit slices or dried fruit! We also sprinkled on some granola, and even chopped nuts would be delicious. That’s it! It’s so simple, your kids can definitely help with this one. Wash apple and slice crosswise into 1/4″ thick rounds. Remove the core where needed. 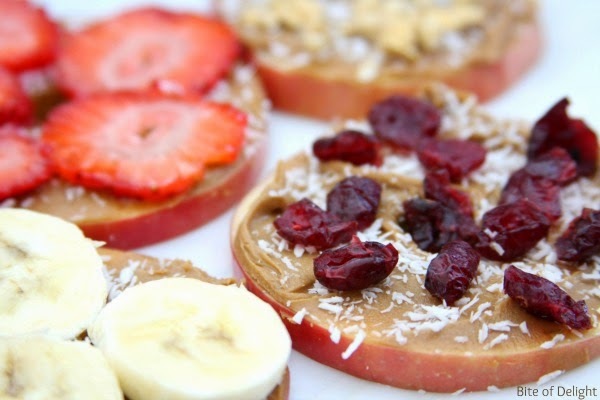 Spread with cookie or nut butter. Top with your favorite toppings. The strawberries and bananas were my personal favorites! Enjoy a great snack with your kids that they can help make!